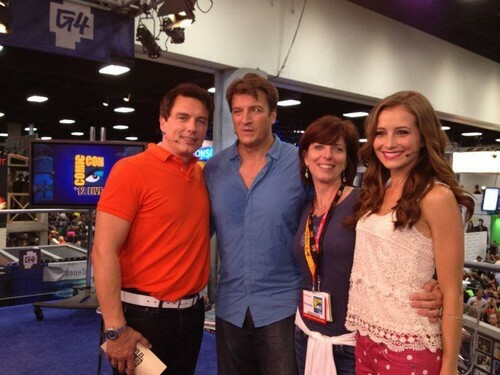 Nathan Fillion with John Barrowman at Comic Con 2012. I have to say that this picture contains my 2 fave tv actors. I am thrilled that they meet eachother;))). HD Wallpaper and background images in the Nathan Fillion club tagged: nathan fillion john barrowman comic con 2012. This Nathan Fillion photo contains triceratops. There might also be le dîner and salle à manger.